We will be using the bibtag system. Timing strips will be located on the back of your race bib. Wear the bib number visibly on the chest. Do not fold or crumple your bib number or tag. Use a pin for each corner of the bib number, do not pierce the timing strip. 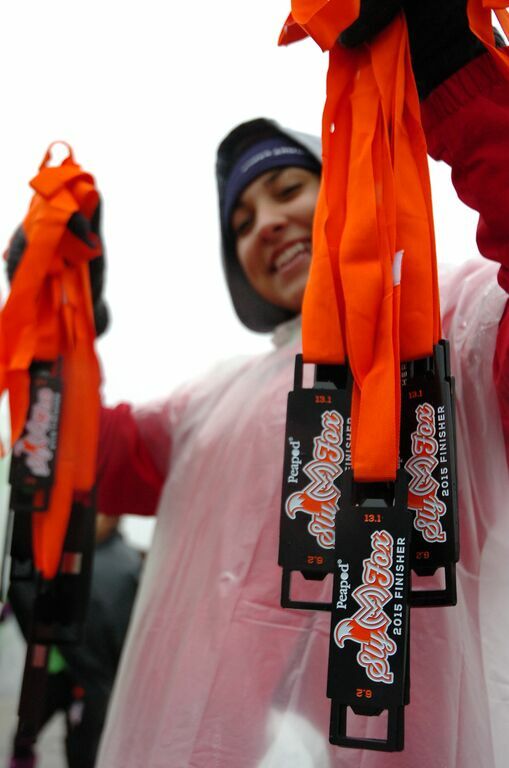 The tags do not have to be collected after the race, you can keep the bib with the tag as a souvenir. Age Group Awards will go to the first place finishers in the following age groups -Under 19, 20-24, 25-29, 30-34, 35-39, 40-44, 45-49, 50-54, 55-59, 60-64 and 65. Age group awards will be read when results are finalized. ALL AGE GROUP AWARDS WILL BE EMAILED TO RECIPIENTS AFTER THE RACE. You will NOT have to stay to find out if you have won an age group award.